I have been seeing quite a few recipes condoning and centered around the use of ‘sugar free’ or ‘diet’ products lately. 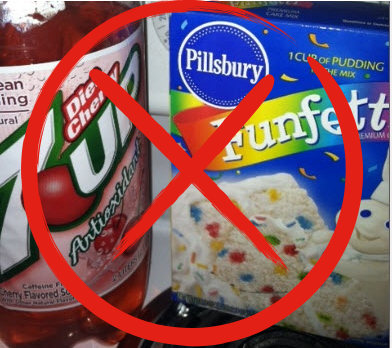 Since I am challenging myself and following a Paleo eating method, aspartame or any processed sweet like that is already ‘off-limits’, but I was sad to see so many people not realize the setbacks and problems that using aspartame while baking can bring. I thought more people knew the horrid effects that ‘sugar free’ means especially when it contains aspartame. Aspartame has a long and disguised history in our food. In fact, the FDA would not even make it legal for use because of the cancerous and detrimental effects it had on lab animals. That was of course until… in 1974 a company who made saccharine and lobbyists got it pushed through approval and deemed ‘safe’ for consumption in food and beverages. However, what millions were not told is there are many different guidelines surrounding its use and how much is appropriate to consumer were also disclosed. Of these the FDA never condoned heating aspartame – EVER. Read about those restrictions here. Why you might ask? 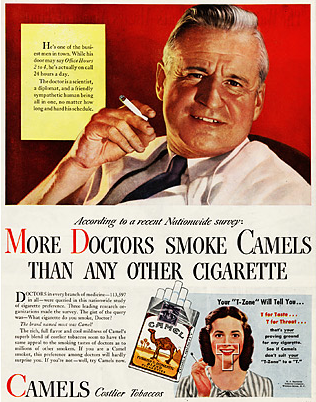 Well remember when it came out that cigarette companies hid the truth about the danger of cigarettes? Well I as well as many nutrition minded people firmly believe that aspartame has been modeled as a golden child in the calorie counter’s eye. “Zero Calories – No Fat! Good for you! !” Although it is tolerable and our bodies mostly deal with our consumption of it, it just like any other chemical entering our bodies and cannot be good for us. It’s basic physiology, aspartame is not an ingredient you find hanging from a tree or growing in a field, it is made and refined in a laboratory. Well our bodies simply have a very hard time processing and figuring out what to do with the ‘sweetener’ once it is consumed. “Too much aspartate or glutamate kills certain neurons by allowing too much calcium into the cells, the influx triggering free radicals which also kill the cells. Some diseases linked to the damage caused by this cell death include hearing loss, dementia, memory loss, hormonal problems, epilepsy, and multiple sclerosis. Acute reactions to the excess aspartate and glutamate include headaches, nausea, fatigue, sleep problems, and vision problems.” From Aspartame – The Truth. Further when Aspartame is heated up above 30 degrees Celsius (that’s high 80s for you non-metric kids) the absorption of another property of saccharine … methanol. Methanol is of course very toxic to humans and when ingest in other forms such as the kind at the gas station causes blindness and severe optic nerve damage. Remember that time some genius invented the diet coke and brownie recipe? I stand by my Cupcake method – if you’re gonna eat something bad go whole hog and use the real stuff at least your body knows how to process that stuff more easily. “Symptoms of methanol poisoning include headaches, buzzing in the ears, dizziness, nausea, gastrointestinal problems, and memory lapses. One of the most well known symptoms of methanol poisoning is vision problems. Fruit juices and alcohol do contain small amounts of methanol but the methanol is never present alone in natural products. It is accompanied by ethanol which is an antidote for methanol toxicity in humans.” From Aspartame – The Truth. 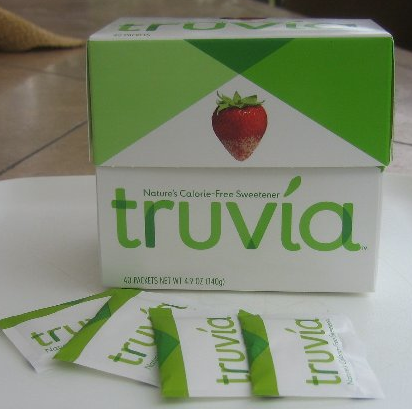 There is a lot of debate about the specifics of the process of your body metabolizing aspartame and its effects, and whether you agree or do not, I think it should be a reminder of using other natural sweeteners to substitute for processed sugar. 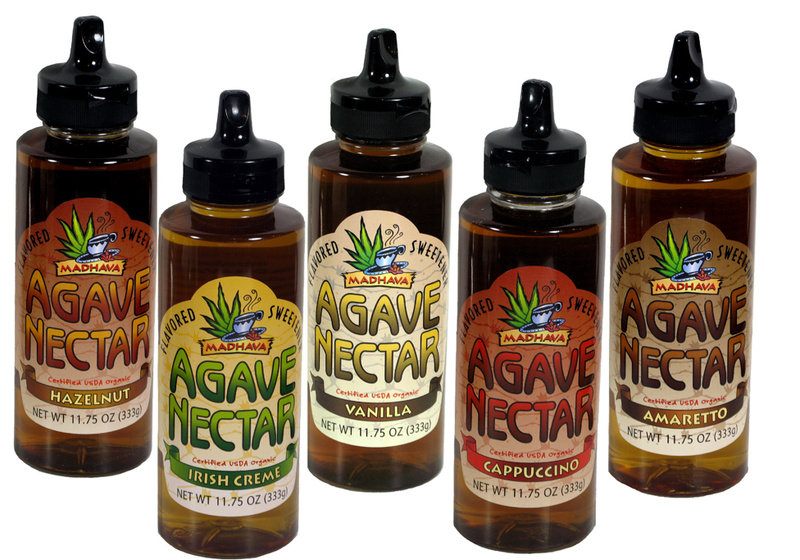 Some great methods that are now popular and available are agave nectar and stevia. Both are natural sweeteners that are in fact easier for your body to process than the sugar we see on tables in diners. 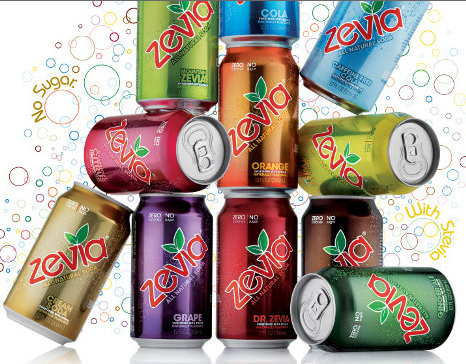 I’ll end this blog by saying that I still find myself drinking a diet soda, but I try to make the right choices – I choose Hansen’s Brand or my favorite calorie-free guilt-free soda Zevia. 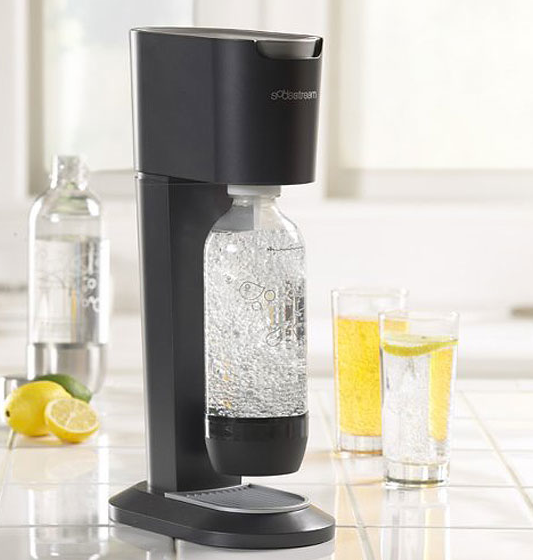 We even have a SodaStream and make our own sodas from organic fruits and vegetables which are beyond amazing – seriously the fake chemicals we try to fool ourselves into liking taste nothing like the real honest ingredient. This book on Amazon is great – Homemade Soda you don’t even need a machine to make the sodas just some fizzy water! I also follow these alternative cooking blogs – they use lighter/healthier methods to cook traditionally fatty/high caloric/gluten filled foods. See you won’t need that aspartame any more! I’ll save my next food rant for Splenda which contains ARSENIC!!! Ugh capitalist food production – such a lovely process. Dashing Dish – there’s a lot of god talk on here, but her recipes are great. PaleOMG – a fun and recipe filled Paleo blog from right here in Denver! Next > Aren’t we feeling important today?